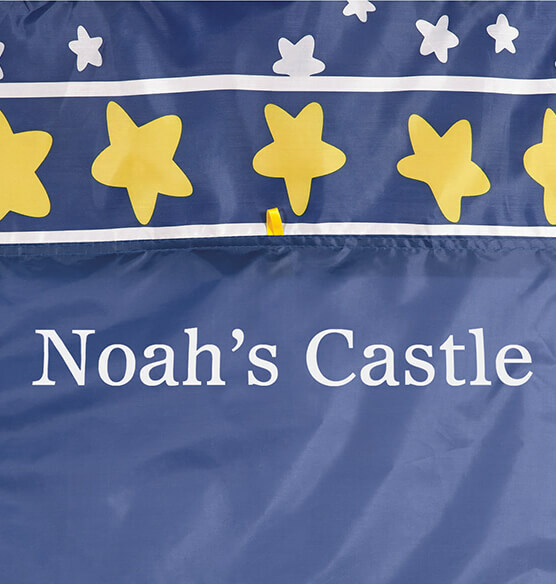 Popping up in minutes for hours of fun, this personalized children's tent becomes a private castle when personalized for your favorite little prince or princess! 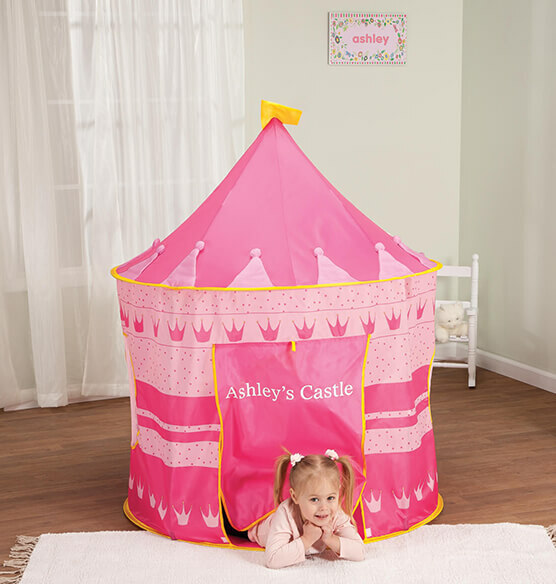 Giving kids a fun little space for imaginative play, the durable nylon kid's tent is large enough to host a guest, yet small enough for family room or bedroom. 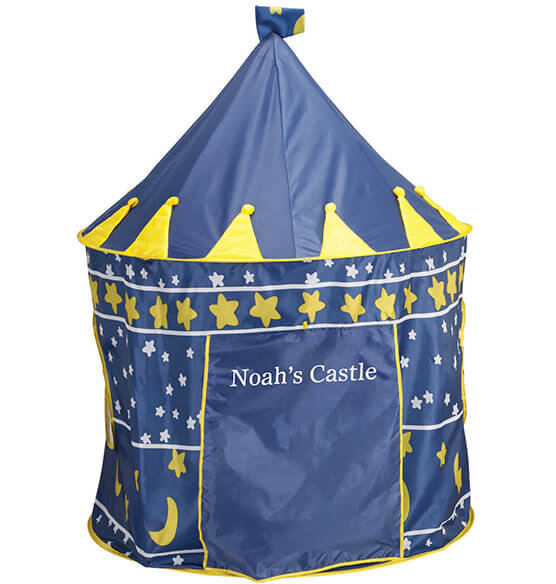 Setting up easily without tools, the play tent includes 4 fiberglass poles for sturdy structure and features a large door flap which rolls up and ties open for comfy ventilation and safe supervision. 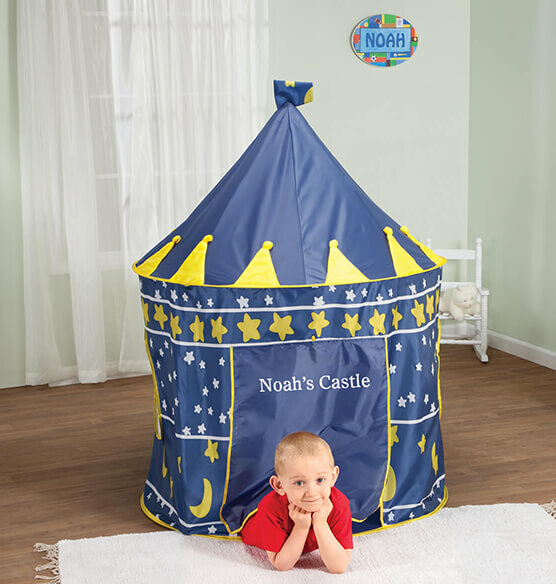 Cleaning up quickly with a damp cloth, it folds down easily and stores in its own 17" dia. case with 2 carrying handles, making it perfect for trips to Grandma's house. 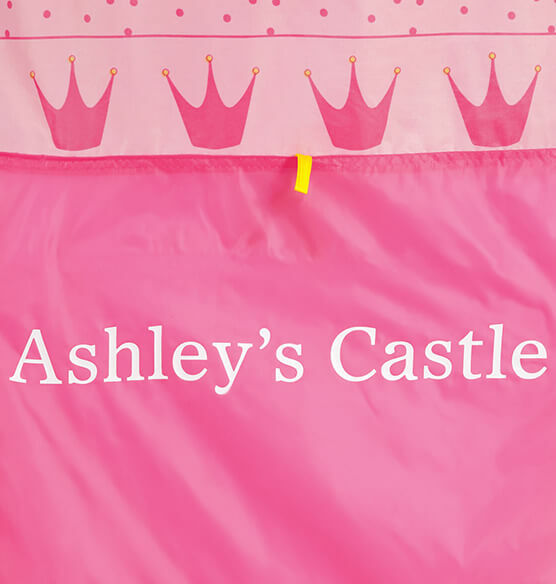 Choose from a pink princess theme or blue wizard design ... and we'll personalize for one royal resident! Specify color: pink or blue. Specify name or message; limit 1 line, 18 letters/spaces. 41" dia. x 48" high with 16" wide x 24" high doorway.